30th Anniversary "Black Friday" Exclusive. 2 Color/Etched LPs in "Transforming" cover. 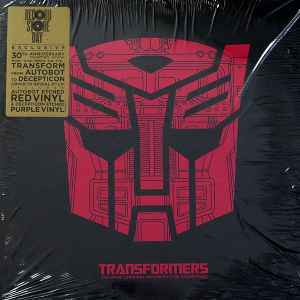 LP 1: Autobot Logo Etched, Translucent Red Vinyl. LP 2: Decepticon Logo Etched, Translucent Purple/Red Marbled Vinyl.